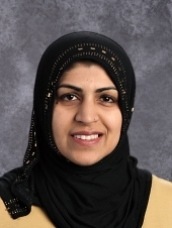 Ms.Aila Ghori, a graduate of the University of Maryland, College Park, has been working as a substitute at Al Fatih Academy for the past 4 years. This year we are pleased to have her join Kindergarten Green as an assistant teacher. Ms. Aila enjoys spending time with her family, reading, and traveling. She looks forward to providing a stimulating learning environment for the students in which they can grow and bloom as they learn throughout the year.